Tokyo is one of the world's best shopping cities. If you can't find it in Tokyo, it probably doesn't exist. If you've got just one day in the city, my Tokyo Shopping Itinerary is for you. One day is enough to sample the incredible shopping in Tokyo. If you've only got one day in the city, it's crucial to base yourself somewhere central (see the notes below). This itinerary includes Ginza, Shibuya and Shinjuku. If you have two days to spend in Tokyo, see my 2-Day Tokyo Itinerary. Start your day at Mitsukoshi Department Store in Nihombashi, which is in the Tokyo Station Area. Be there just a few minutes before 10:00am to check out the incredible opening ceremony. Here is where you will get an insight into the heart of Japanese customer service. You can walk to this store from Tokyo Station. Alternatively, the store is close to Nihombashi Station on the Ginza subway line. Travel south from Nihombashi to Ginza, Tokyo's oldest Western-style shopping district. Check out the huge shops and department stores along Chuo-dori and then peak into the various high-end boutiques on the smaller streets. You can walk from Nihombashi to Ginza if you feel energetic and the weather is nice. Otherwise, it's just three stops south on the Ginza subway line. Eat lunch in Ginza. 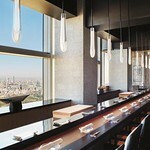 See my Ginza Places to Eat section for recommendations. See Try to hold off on eating lunch until 1:00pm because the restaurants in this area will be packed with office workers. Another good place for lunch is the Tokyo Station Area, see my Tokyo Station Area Places to Eat section for some recommendations. 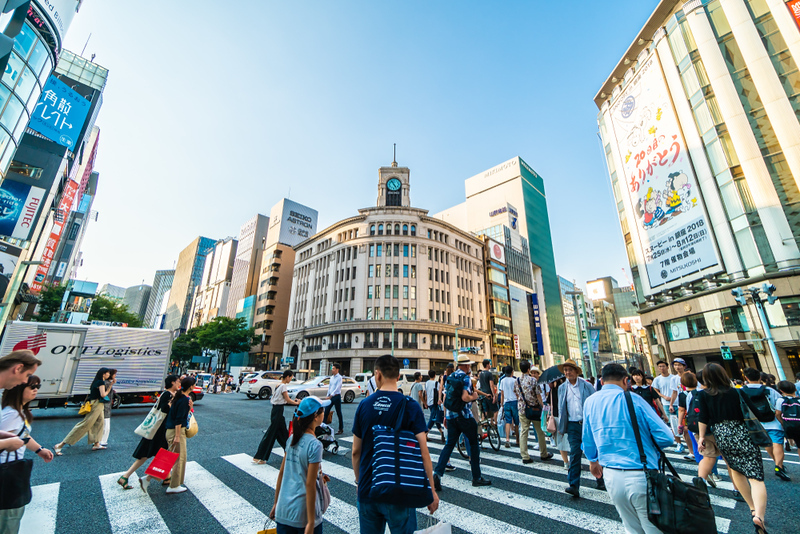 Travel to Shibuya, one of Tokyo's trendy modern shopping areas, with a thick concentration of department stores and smaller shops. Take the JR Yamanote Line three stops north from Shibuya to Shinjuku, another huge shopping district on Tokyo's west side. My favorite place to shop here is the Takashimaya Times Square Complex. I love the Tokyu Hands store here, as well as Takashimaya itself. And, next door is my favorite bookstore in the city, Kinokuniya, which is reached by a pedestrian footbridge. If you feel like an early dinner, the 12F, 13F and 14F restaurant floors are really good and approachable places to eat, with all kinds of Japanese and foreign foods represented. If you've still got energy, take a stroll through the Shinjuku West Exit camera and electronics area to see all the shops with their incredible neon signs. This is pure Tokyo! If you're only going to be in the city for one day, you should try to base yourself in a central location so you don't waste time moving around. I'd suggest Shinjuku, Shibuya, Ginza or the Tokyo Station area. For more on where to say, check out my Where to Stay in Tokyo page. Check Tokyo accommodation availability and pricing on Booking.com - usually you can reserve a room with no upfront payment. Pay when you check out. Free cancellations too. You can buy a Japan SIM card online with Klook for collection on arrival at Tokyo Narita or Haneda airports. Or rent an unlimited data pocket wifi router. Compare airline flight prices and timings for the best Japan flight deals. A prepaid Suica card makes travelling around Tokyo much easier - here's how. Tokyo or Kyoto? Which Should You Visit? When Is Cherry Blossom Season In Tokyo? an affiliate advertising program designed to provide a means for sites to earn advertising fees by advertising and linking to amazon.com and amazon.co.uk. Copyright © 2019 TrulyTokyo.com. All Rights Reserved.